Google's web browser may be close to owning half the market share, but that hasn't stopped the software from feeding off some laptop batteries like a vampire right out of a classic horror movie. PCWorld reported this week that Google appears to have finally gotten the message from Windows laptop owners tired of Chrome running down their battery, even when the processor is sitting idle. 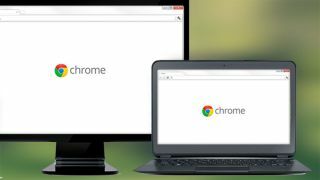 The problem first came to light on July 14 with a Forbes article shedding light on how Chrome for Windows fails to properly restore PC processors to a more power-efficient mode, even when the browser is resting in the background. The report blamed Chrome's high "system clock tick rate" of one millisecond, Microsoft claimed this can increase power consumption by as much as 25%, depending upon how the hardware is configured. Forbes' Ian Morris pointed out that most Windows software - including Microsoft's own Internet Explorer browser - default to a system clock tick rate of 15.625 milliseconds, which causes the PC hardware to wake up less often. More damning to Google is the fact that this bug was first reported in 2010, but failed to gain any significant bug reports to the Chromium team until November 2012. And yet, it still hasn't been addressed to date. However, now that the issue has received widespread public attention, Google confirmed to PCWorld that the Chrome team is on the case, having bumped up the bug report to "priority one" internally. While there's no word on when the fix will actually arrive, Windows laptop owners can get some much-needed relief by simply shutting down Chrome when it's not in use, or use the time to try out an alternative such as Firefox, Opera or even Internet Explorer. Gone but not forgotten: Check out our Nokia X review!